First things first on our 2018 Surfing Gift List. In case you don’t know, the very best gift for a surfer is a new surfboard. An avid surfer can never have too many surfboards. So, if your budget allows, learn what board your surfer is currently obsessing over and grab it while you can. Our staff at Island Water Sports can help you pick out the perfect board. Check out our recent review of Modern surfboards, now in stock at Island Water Sports. Still, if a new surfboard isn’t in the cards, check out our big list of surfer-approved stuff for every budget. Happy gifting! Fu wax creates that “soft feel” feeling, where the board seems to follow your movements no matter which way you turn. Due to its non-horizontal slip, Fu makes stomping airs a breeze, and if anything, its tackiness only increases throughout the session. With these reviews, Fu Wax is an affordable addition to our 2018 surfing gift list. 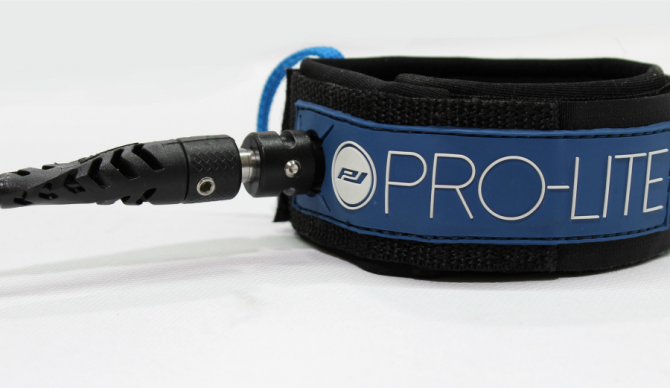 The Pro-Lite 6’0 Comp surfboard leashes is perfect for South Florida surf. Designed for small to medium wave surf, it has a 5.5mm cord thickness, and is both light and tough. It features double stainless swivels to keep the leash spinning smoothly and a recessed horn to reduce the pull on your ankle. And as an added bonus….Worried about somebody watching you hide your key in the rocks? Stash it in the hidden ankle cuff key pocket. The perfect accessory – Gorilla’s Nick Rozsa signature grip is constructed with an incredibly lightweight EVA foam with an ultra strength glue. Plus, the Aztec grove design provides incredible resistance and foot connection by adjusting the pressure applied by the surfer. The perfect traction for their next board. Help them shuttle their surfboard to and fro in style with the Plate Lunch X Dakine Daylight Deluxe-Thruster surfboard bag. This everyday board bag features a unique two-toned hand-printed palm print created by Hawaiian apparel company Plate Lunch. The bag offers 1/4-inch foam padding plus 600D polyester top with a heat reflective tarpaulin bottom. Share the Aloha with this limited Plate Lunch collab print. Grab them a new pair of boardshorts. The Thomas Campbell is a colorful, washed 4-Way stretch boardshort made with coconut fibers. Featuring engineered Thomas Campbell print with solid contrast waistband, pocket flap and Vissla/Thomas Campbell woven labels, these boardies feature art from the great surf film maestro, Thomas Campbell. Made from 36% Coconut & 34% Recycled Polyester, they are the perfect sustainable choice. Add an extra layer of comfort and style to your wave-riding favorite with the soft stretch and iconic Quiksilver Solid Streak rashguard. Available in Black, white, long-sleeve and short-sleeve at Island Water Sports. Voted the #1 wetsuit by Stab Magazine, The HyperFreak F.U.Z.E. 3mm is constructed with super light TechnoButter 3 and TechnoButter 3X neoprene. This wetsuit features minimal seam design and unfinished cuffs. During our test, O’Neill’s suits were not only the easiest on and off but the most flexible and comfortable. So, the fact that their Hyperfreak was nominated and won both the Stretch and Comfort. For O’Neill, it all comes down to two words: Techno Butter. The Techno Butter Technology is three phases in the making and has hit its pinnacle. The entire Psycho line are super-freaky-cozy. Changing the game for the “game changers”, Joaquin Changing Poncho makes disrobing a magic trick. This one size fits all, ultra soft and absorbent 100% winter-weight cotton terry towel makes changing in and out of your wetsuit or swimwear easy, comfortable and warm. Help your surfer track every wave, swell, wind and tide. The Search GPS 2 digital surf watch comes with real-time surf conditions and GPS tracking for all your activities, from surf to snow, run to swim. Sync your activities to the Search GPS iPhone app to log, review, relive and share your sessions. Our most advanced GPS surf watch has 1,400 pre-programmed tide locations, One-Touch Auto-Set that now works indoors, and new features like Sunrise-Sunset times and Moon Phase. Search GPS 2 is the ultimate surfer’s watch. Give them the perfect hat that shades them from the sun when checking out the local break. 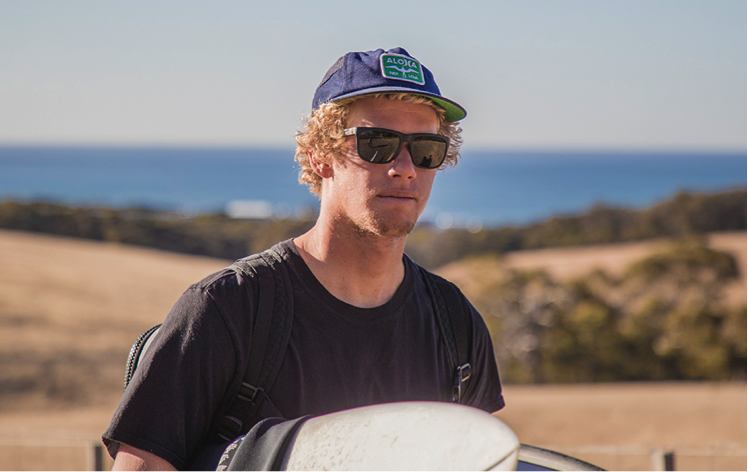 The Quiksilver Pierside Lifeguard hat is a Island favorite. Support their local surf shop and celebrate 40 years of South Florida surfing when you gift our limited edition 40th Anniversary long-sleeve t-shirt. Our next item in our 2018 surfing gift list are the best in protection for your eyes on the water. Electric’s signature melanin-infused polarized lenses block 99.9% of debilitating glare from the water’s surface. They also reduce HEV blue light by 98%, provide superior color contrast and reduce eye fatigue. Backed by John John himself, your surfer will be stoked to find these under the tree. The Surfing Florida Museum is made up of people who share a common passion for the ocean and surfing. This past month, the museum found it’s new home in West Palm. Located at 1400 Elizabeth Ave it is run entirely by volunteer and open to the public Thursday – Sunday from 2pm – 7pm. In 2008 Fred Salmon acquired rights to Florida’s most comprehensive surfing photo collection, taken in the 1960’s by M.E. Gruber. Other long-time surfers who knew the value of this priceless photo archive joined Fred to form a non-profit organization to preserve Florida’s rich surfing heritage. Those surfers were Corky Roche, Tom Warnke, and Bill Keeton. The Surfing Florida Museum has curated more than fifteen permanent and traveling exhibits; and has received financial support from many sources, including the Palm Beach County Cultural Council. Annual and lifetime memberships are the most important ways that people support the Museum, and benefits include access to many special events each year. The museum now displays more than 100 years of surfing history in Florida and is the most comprehensive surfing museum on the U.S. East Coast. Your $25 membership is the 2018 surfing gift list choice that gives back by helping to continue to share the deep history of surfing in South Florida.